2.With a click of the on/off button our 25.6 inch tall flashing pirate sword blinks and flashes in 3 modes ! 3.From the plastic blade to the eyes and bones accented by a silver chrome skull with a hat adorned hilt. 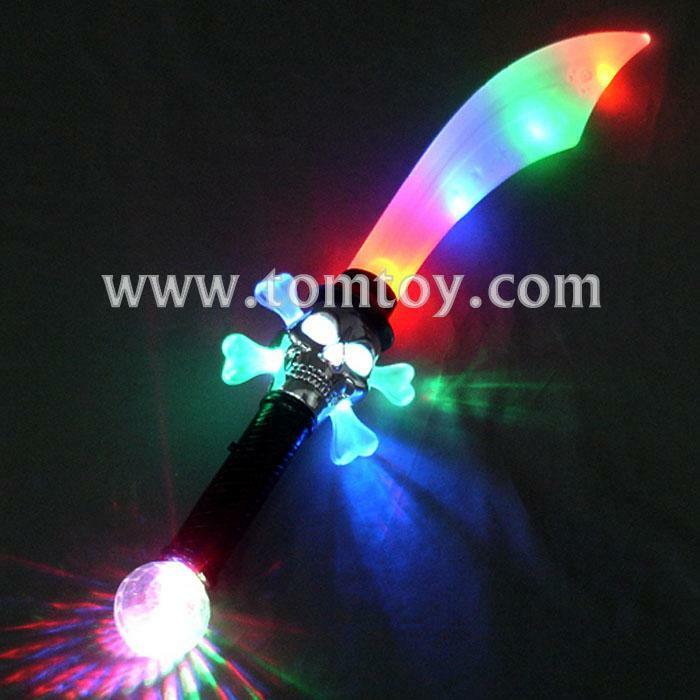 5.Each light up pirate sword comes with 3 - AAA batteries included and installed.